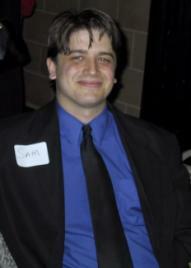 Deadman.org is where Sam Rowe puts his *nix stuff. I work for the Board of Regents of the University System of Georgia (USG, not UGA,) as a UNIX Systems Administrator. I'm 35. I live in Athens, Georgia. As you can tell, I use this site to host various documentation and programming projects. The site is authored in vim and relies heavily upon PHP4. I try to keep it as standards-compliant and image free as possible. I got this domain for my birthday in 2000. I'd spent hours doing whois searches trying to find anything that was easily remembered and most of all short. Much to my surprise, this domain was not registered. I have no particular affinity for the name, but it fits my criteria (short and hopefully easy to remember,) so there ya have it. This site supports the use of access keys. Most of the access keys are the first letter of the links to the left, with the exception of my Bash tutorial which has an access key of 'b' and Deadman's Redirect which has an access key of 'r'. All contents © Sam Rowe 2009. Some rights reserved.